Jazz is defined as “a kind of music in which improvisation is typically an important part. In most jazz performances, players play solos which they make up on the spot, which requires considerable skill.” (What is Jazz?, n.d.). This improvisation is what sets jazz apart from other types of music. It developed in America in the early 20th century and is considered to be a distinctly American art form. It emerged from a blend of African-American musical traditions with different kinds of music resulting from the interaction of various cultures in the city of New Orleans. As it spread not only in the United States, but in various parts of the world, different styles of jazz also developed. Among the styles and types of jazz that emerged are Ragtime, Swing (1930s to 1945), Bebop (1940s to 1950s), Cool Jazz (1950s), Free Jazz (1960s), and Jazz Fusion (1970s). These styles vary in the number of musicians and instruments, rhythm, tempo, and improvisations, among others. In the Philippines, jazz music was first introduced in the 1920s during the American colonial period. It is considered an American cultural legacy to the country. 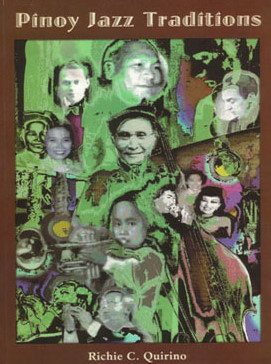 The various styles of jazz that developed in America were also echoed in the Philippine music scene. But what makes “Philippine jazz” distinct is the fusion of jazz with Filipino folk songs and melodies, as Angel Peña did in the 1950s, Eddie Munji and Ryan Cayabyab in the 1970s, and the cycle continues with Bob Aves, who explored fusion of jazz with Maguindanao music and gong practices in his recent albums. As Filipino artists continue to explore and experiment, the quest for Philippine jazz continues. Quirino, R. (2004). Pinoy Jazz Traditions. Pasig City : Anvil. Logarta, M.T. (2013, September 15). In search of Philippine Jazz. PhilStar.com. Retrieved December 4, 2013, from http://www.philstar.com.